Warlords and their accompanying militias have become a normalised, if not macabre, part of the African sociopolitical landscape. There is general sense that warlords, militias and armed non-state actors do not form part of the political environment and that the government alone possesses the legitimate use of violence. In reality, militias form part of the normative political landscape in Africa, as well as in Eastern Europe, central Asia and Latin America. While some warlords are not necessarily interested in usurping national political leadership through the use of militias, they challenge, obstruct and undermine institutional structures to suit their interests.2 Warlords question the legitimacy and defensive abilities of the existing government, yet their objectives and goals are diverse. Often their motivations are ideological, in seeking to bring about changes in their social and political recognition, while others seek economic (re)distribution or wealth accumulation, and many more have territorial interests that do not include the well-being of populations or contribute to political stability.3 Through the use of militias, warlords are linked to – and beneficiaries of – criminal activities that exploit and enslave rural-based civilians to extract natural and mineral resources. Whatever their goals, militias and warlords interact and coalesce to exploit opportunities within a particular time frame – but this behaviour and formation is located within prevailing traditional notions. In part, African warlord and militia structures are located in the rural warrior tradition. Like the military, from which many members of militias are purposely drawn, such armed agents are modern institutions – but, as Ali Mazrui argues, not modernisers.4 To support this perspective, Christian Gerlach, a genocide and atrocity specialist, argues that militias, comprised of young rural men, respond to a traditionalist interpretation in which they attempt to retain a patriarchal traditionalist reality.5 This, he asserts, is particularly evident in self-defence units located in impoverished rural areas that defend their own property and lives. This warrior tradition suggests that all men are part of a masculinised initiation into violence. Such narrowed traditionalist and particularistic thinking directly impacts the sociopolitical leadership and dynamics that are reflected by warlord politics. Civilian violent conflict is projected as the current turmoil trajectory in the Central African Republic (CAR), but this projection indirectly conceals the actions of militias as well as the ambitions of warlords. The conflict, which has taken on a religious overtone where previously it was ethnic, can be attributed to this notion of the warrior tradition that excludes, and is suspicious of, those who are deemed to fall outside the group. Civilian conflict creates confusion, as the popular perception is to assume that the cause of the conflict can be located among ordinary citizens and to dismiss the role of warlords and militias. Militias that operate as auxiliaries of governments create civilian discord and insecurity to (mis)direct attention to civilians, particularly in urban areas and away from developments in rural areas. The CAR experienced violent conflict as a result of armed competitors attempting to usurp or maintain political leadership and power on the cusp of its independence in 1960. The country is plagued by a persistent weakening of state institutions; democratic, social and political structures; a faltering economy that fails to benefit the population; and militias, armed youths, bandits and widespread civilian criminality.6 The state remains synonymous with violence, extrajudicial executions, torture, arbitrary arrest and detention, and rampant state corruption. Within this context, the 2013–2015 conflict continues to be reported as dichotomous religious violence, perpetrated by government troops and militias, which culminated in civil and communal conflict. The simplistic reduction of the conflict to the dichotomy of Islam versus Christianity, government troops versus militias and militias versus civilians, does not capture the true extent and complexity of the conflict. It is necessary to see beyond deliberate dichotomies that project a simplistic understanding of the conflict. In doing so, it becomes apparent that this was and continues to be a protracted conflict, and this understanding informs the social and political dynamics in the CAR. Apart from Ange-Félix Patassé, all presidencies in the CAR were secured through coups. 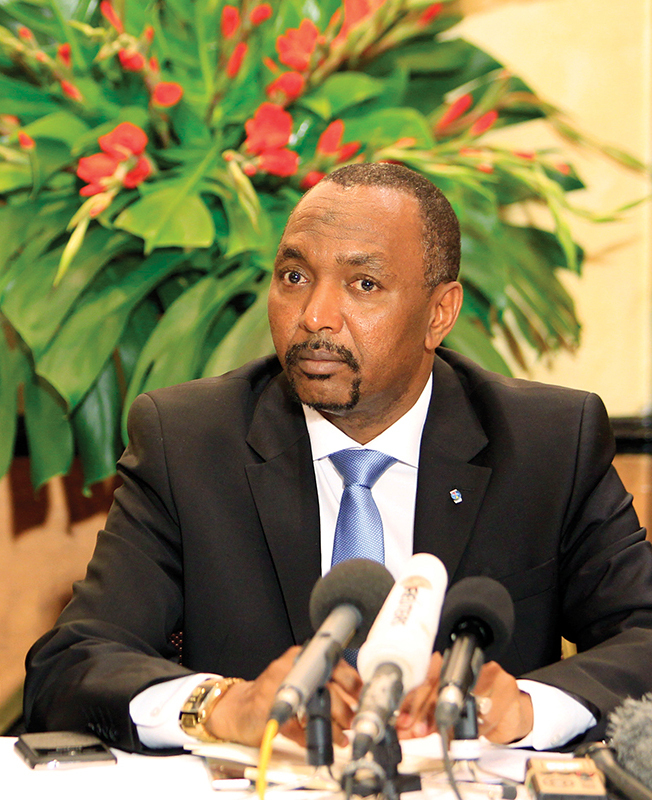 Although democratically elected in 1993, Patassé’s success was attributed to the political unpopularity of General André-Dieudonné Kolingba, who deposed former president David Dacko in a coup in 1981.7 François Bozizé ousted Patassé in 2003, and Bozizé was then ousted by Michél Djotodia in 2013, who proclaimed himself president but was hastily forced to resign months later. 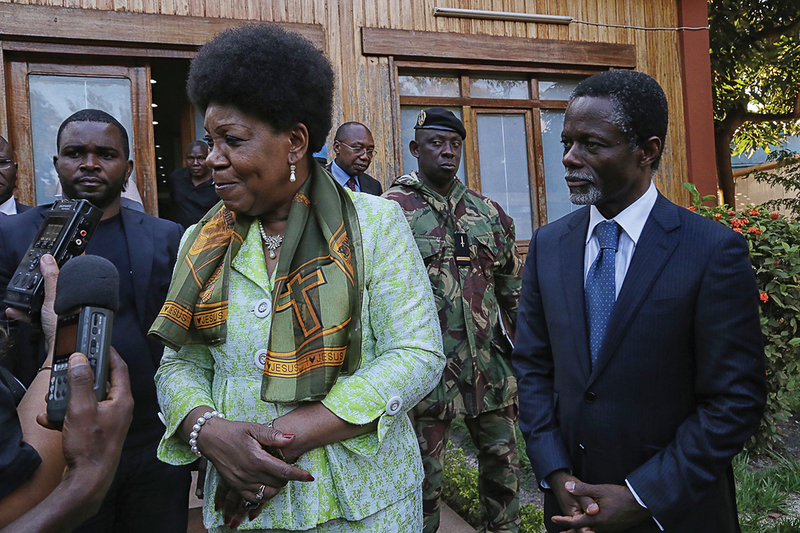 In an attempt to stabilise the sociopolitical situation, Catherine Samba-Panza – the non-partisan mayor of Bangui, with no known links to militias or defence units – was appointed as an interim president, until elections in December 2015. Although violence committed by civilians, and encouraged by militias, is not new within the CAR, the current violence purposely projected a dichotomy and presented a religious element that was used by former president Bozizé to create discord among the civilian population. Limited understanding of the conflict has resulted in the Séléka, an umbrella coalition militia comprised of a motley crew of armed fighters and ex-soldiers from the various prefectures and the neighbouring states of Chad and Sudan, being projected as a predominantly Muslim militia. 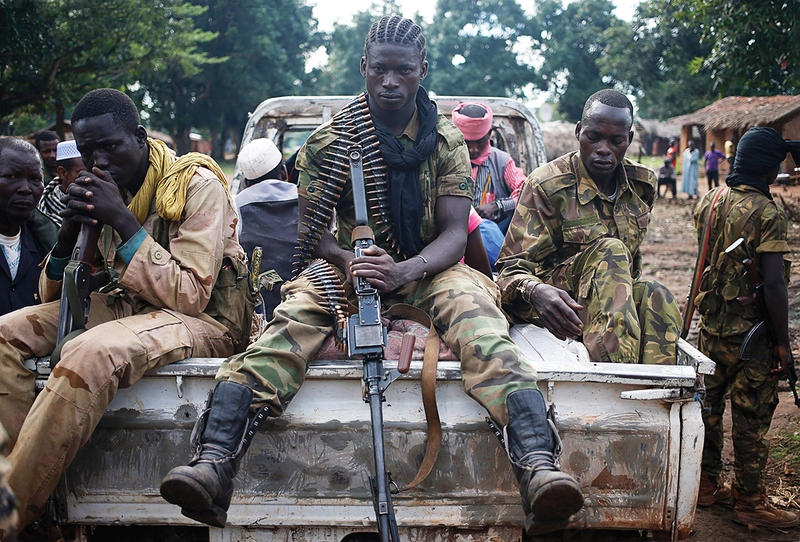 Defining the militia simply as a religious movement reveals a superficial understanding of persistent violence in the CAR. The conflict was reduced to two militia coalitions and two leaders: Djotodia and Bozizé. 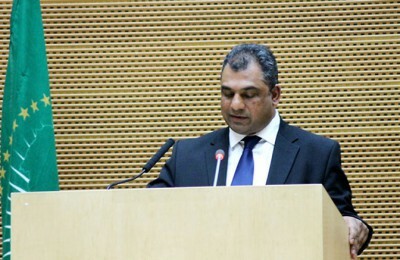 However, to understand this conflict, the role of Djotodia – once leader of the Union des Forces Démocratiques pour le Rassemblement (UFDR) – and that of Bozizé – having seized political power from Patassé – must be informed by the events of the CAR Bush War from 2004 to 2007. 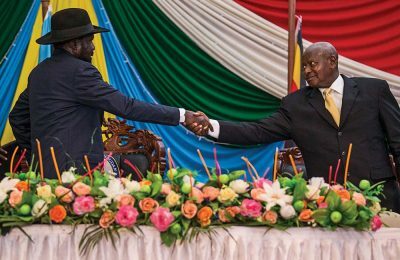 This longstanding conflict, which began in 2004 and was peppered with failed peace agreements as far back as 2008, illustrates the ambitions of warlords and their militias. Militias are not formed in a vacuum, but serve as the response to government failure and absence. 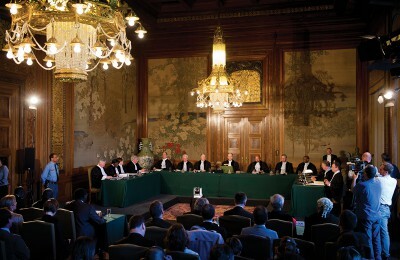 Warlords often argue that their motivations are honourable and that they are left with little choice but to resort to violence.8 Clever in terms of manipulation, militias use media sources, particularly journalists, to plead ideological positions, displaying bravado to localised grievances and asking for external financial support to act against governments. Yet, militia attacks are overwhelmingly on civilians rather than other forces, including armies. In Africa, and particularly the CAR, militias and state armies alike subject civilians to abuse and violence. Warlords, like governments, can extend conflict through the assistance of external supporters and funders with vested interests. The issue of control – whether political, regional or economic – is central to the interests of warlords, but this does not suggest that the interests coincide with the militias. 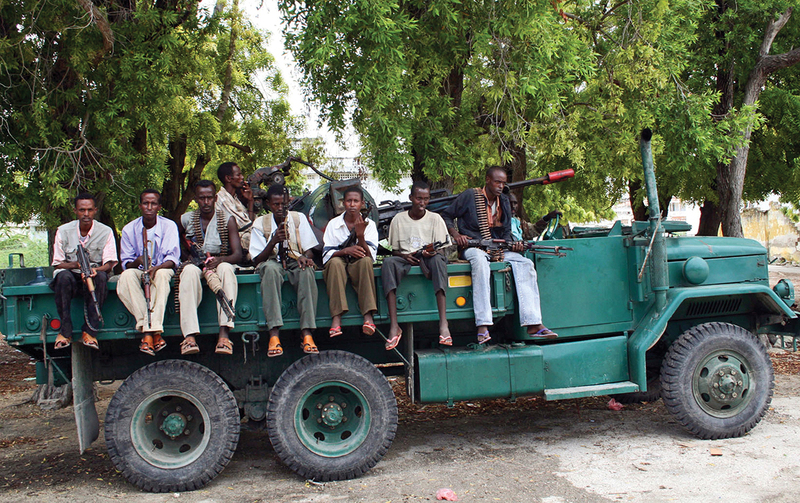 In areas of extreme poverty and high unemployment, recruited fighters simply want employment. Former soldiers in militias want to gain access to state military employment. 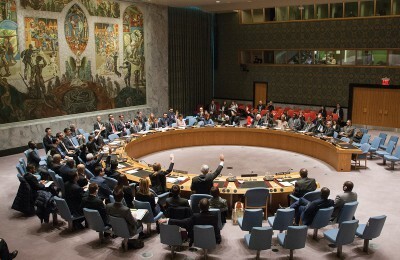 In the CAR, access to political leadership – and, by extension, resources such as foreign assistance and credit – is the goal of warlords.9 Political leadership provides legitimacy and increased funding opportunities, as well as military and economic assistance from neighbouring and regional partners.10 However, this does not always work to favour the warlord. When he claimed power in 2013, Djotodia discovered that simply claiming political power did not necessarily translate into a cohesive power support base. 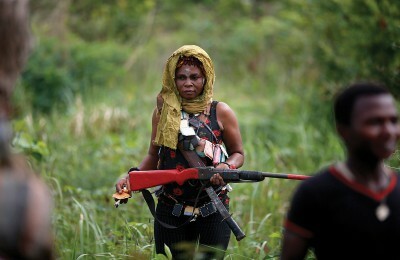 Umbrella coalition militias, such as Séléka and the anti-Balaka, are very difficult to control. During the First Liberian War (1989–1996), Charles Taylor, once president and notorious warlord of Liberia, argued that the biggest obstacle to successful mineral extraction and trade in the rural areas of Liberia and Sierra Leone was due to the smaller armed groups creating roadblocks and sabotaging trade routes.11 His interests, which were largely economic and regional, were undermined by smaller armed groups with short-sighted and immediate financial concerns. Overseeing coalition politics is challenging. Although warlords have significant financial resources, fighters receive a minimal stipend. Such restrictions prevent insurrections, and these fighters find alternative resources by way of roadblocks or attacks on civilians, particularly stealing from villages. In warlord economics, civilians are to be exploited. While civilians hold directly less value than fighters, the poverty, chaos and instability created by the violence creates a donor feeding area that strategically benefits and enriches the warlord.12 However, individuals drawn to perceived easy financial rewards lead to an increase in the number of fighters and extortionist tactics employed. Eventually, this proliferation of smaller militias impedes the flow of trade, undermining the transport routes needed to move extracted resources that fund the conflict. Ambitious leaders of these smaller factions, often ex-soldiers, mobilise and challenge the economic dominance of the warlord, creating their own zones of enrichment. These groups eventually establish their own goals as part of the coalition militia. When Djotodia attempted to disband the Séléka, several factions – each with a separate leader – refused to surrender their arms, as there was no reward of government employment or state largesse for them, and with no great ambition, they continued to loot from urban residents. Defining conflict in Africa is often limited to ethnic factors, but the 2013 clashes in the CAR have been described as religious. Warlords are seldom concerned with issues of identity, and particularly in the CAR, where many were once senior civil servants and held senior ministerial positions, it is unlikely that their intentions in forming militias is related purely to concerns of ethnic identity, although it has populist convenience.15 Ironically, it is the Western fixation on ethnicity and religion that has created a legitimate space in which warlords can launch ideological and identity-based grievances. Although not always, militias are composed of a dominant ethnic or religious group through convenience more than deliberate recruitment. These armed groups are quick to form and exit alliances with other militias.16 While the interests of militias vary, each group has a particular social and ethnic identity, and there are rivalries that lead to armed groups attacking selected villages or civilians and leaving others unharmed, and leaving civilians to interpret the conflict.17 Ethnic and religious identities became rallying points for the interests of warlords at the expense of civilians. Simplistically, and probably erroneously, the conflict in the CAR is reduced to a conflict between two coalition militias. These two coalitions, the Séléka and the anti-Balaka, are projected as good and evil, although both are perpetrating crimes against civilians. Umbrella coalitions are located in opportunistic associations of convenience, rather than an acknowledgement of conscious identity. As with many of the smaller groups that eventually join militias, it is most likely that the anti-Balaka militia began as a self-defence group in the 1990s. 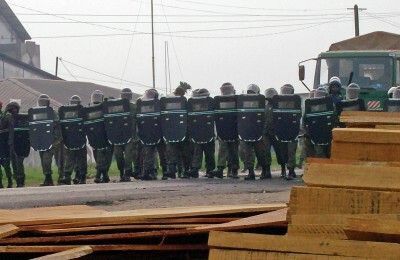 In many rural areas, the lack of administrative control and policing leads to repeated assaults on villagers and farmers, so defence units fill a necessary function. It is assumed that the anti-Balaka originally repelled cattle thieves from Chad and the APRD militia.19 After Bozizé’s ousting, former government troops and presidential guards wanted re-entry into civil employment and joined the anti-Balaka, providing the movement with political and ideological motivation against the Séléka, their greatest rival. Bozizé, while in exile, recalled le Front pour le Retour de l’ordre Constitutionnel en Centafrique (FROCCA) to support the anti-Balaka, in an attempt to regain political control of the capital.20 Like the Séléka, the anti-Balaka became – and remains – a coalition of interest groups. Fighting between the Séléka, ex-Séléka and the anti-Balaka militias transformed the conflict by incorporating civilians in Bangui. Unlike the rural areas, where communities formed loosely collective units, Bangui is comprised of neighbourhood kudros – ethnically stratified neighbourhoods that are informed strictly by kinship and lineage.21 These ethnic affiliations have proved a distraction in describing the complexity of the war, and demonstrate a persistent narrative that Africa is subsumed by ethnic conflict. 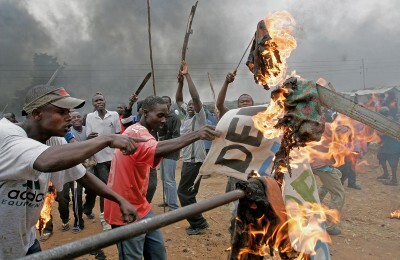 The conflicts in the CAR demonstrate the motivations of militias and the ambitions of warlords. Militias are not uniform structures, but are created to serve the interests of existing or aspirant political leaders and wealthy warlords. A potential increase in wealth and power lures smaller armed groups and individuals into coalitions. Although the militias operate under the leadership of the warlord, the interests of the warlord and those of the fighters are often dissimilar, and civilians are often used for the purpose of furthering the agenda of the armed groups. In the CAR, militias proliferate in the rural areas, due to the lack of economic opportunities and insecurity in these areas. Motley crews of armed individuals seek access to security, food, weapons and a wage of sorts. Due to the unsustainability of seeking resources in small rural locations, it is easier for these small groups to link with larger coalitions for protection and survival. Warlords, having greater ambitions beyond survival, encourage their militias to perpetrate violence against civilians to gain media and government attention. Media coverage leads to ideological support and funding, so often it is the warlords who define the narrative of the conflict for their benefit. The greater the violence perpetrated by militias and civilians, the greater an opportunity exists for warlords to enter into peace agreements and increase their political visibility. Powerful warlords with secured resources and trade routes are prioritised for these negotiated agreements. Characterising the violence in the CAR as a Muslim-Christian confrontation is too simplistic, erroneous and naive. Limiting the conflict between two coalitions is misguided, as is focusing on civilian violence alone. The coalitions are not immersed in this violence, as it diverts attention away from their agendas – which are resource-driven, extraction-focused and for self-enrichment. Misinformed reporting disguises the truth of the attacks on all civilians: Muslims, Christians and animists alike. By misreading and therefore misunderstanding the conflict in the CAR, there is a failure to recognise a pattern of temporary coalitions that emerge and disappear between various armed groups, under different leaders seeking access to political authority, visibility and wealth. Keen, David (2012) Greed and Grievance in Civil War. International Affairs, 88 (4), pp. 757–777. Sullivan, John P. and Bunker, Robert J. (2002) Drug Cartels, Street Gangs and Warlords. Small Wars and Insurgencies, 13 (2), pp. 40–53. Davis, Diane E. (2009) Non-state Armed Actors, New Imagined Communities and Shifting Patterns of Sovereignty and Insecurity in the Modern World. Contemporary Security Policy, 30 (2), pp. 221–245. Mazrui, Ali (1977) The Warlord Tradition and the Masculinity of War. Journal of Asian and African Studies, 12 (1–4), pp. 69–81. Gerlach, Christian (2010) Extremely Violent Societies: Mass Violence in the Twentieth Century World. New York: Cambridge University Press. Vinck, Patrick and Pham, Phuong (2010) Building Peace, Seeking Justice. A Population-based Survey on Attitudes about Accountability and Social Reconstruction in The Central African Republic. Berkeley, California: Human Rights Centre. Rubin, Barnett R. (2006) Central Asia and Central Africa: Transnational Wars and Ethnic Conflicts. Journal of Human Development, 7, pp. 5–22. UNHCR (2014) ‘Thousands Flee Violence in Central African Republic and Seek Shelter in Southern Chad’, News Stories, 17 February, Available at: <http://www.unhcr.org/530212809.html> [Accessed 4 March 2014]. Reno, William (1998) Warlord Politics. Boulder, Colorado: Lynne Rienner. De Zeeuw, Jeroen (ed.) 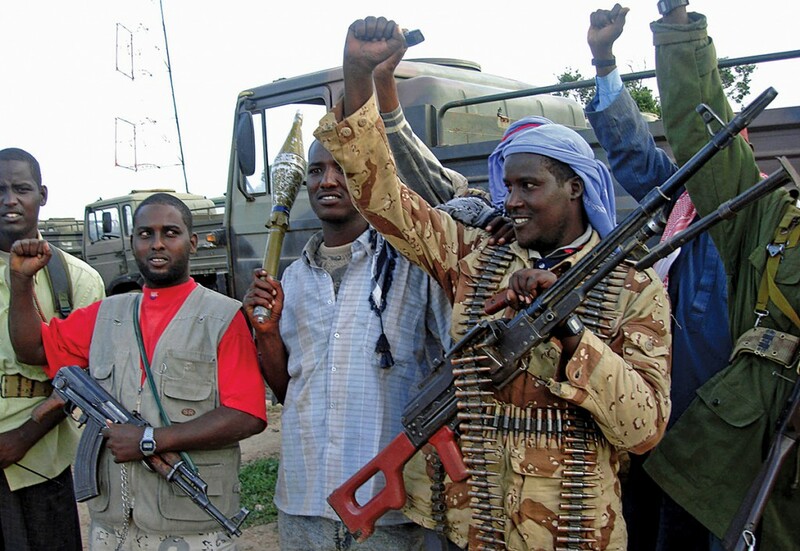 (2008) From Soldiers to Politicians: Transforming Rebel Movements after Civil War. Boulder, Colorado: Lynne Rienner Publishers. Reno, William (1998), op. cit., pp. 89–91. Kaplan, Robert (1994) The Coming Anarchy. Atlantic Monthly, February, pp. 44–76. De Zeeuw, Jeroen (ed.) (2008), op. 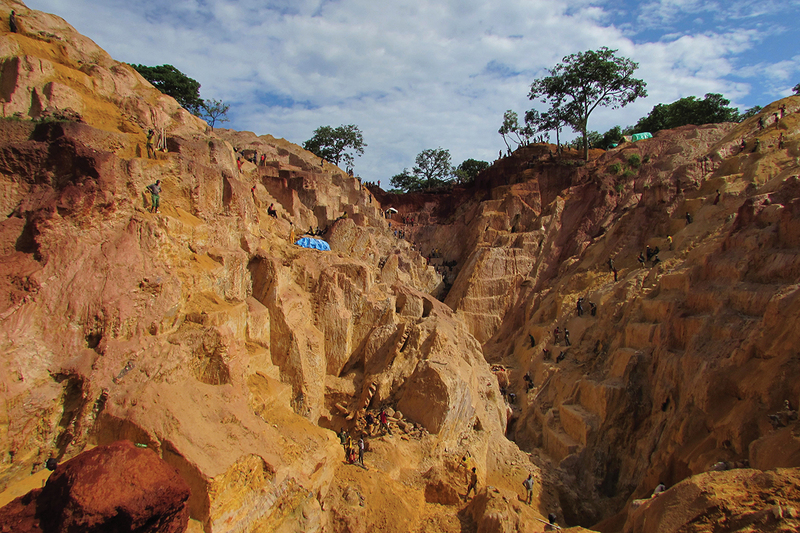 cit., p. 5.
International Crisis Group (2013) Central African Republic: Better Late than Never. Africa Briefing No. 96, 2 December. Nairobi/Brussels: ICG. Mudge, Lewis (2013) ‘A Massacre on Hold in the Central African Republic’, Available at: <https://www.hrw.org/news/2013/12/16/massacre-hold-central-african-republic> [Accessed 12 January 2014]; Nindorera, W. (2008) Burundi: The Deficient Transformation of the CNDD-FDD. In De Zeeuw, Jeroen (ed.) op. cit., pp. 103–130. Alden, Chris, Thakur, Monica and Arnold, Matthew (2011) Militias and the Challenges of Post-conflict Peace. London and New York: Zed Books. Rubin, Barnett R. (2006) op. cit. Layama, Omar K. and Nzapalainga, Dieudonné (2014) ‘Conflict in the Central African Republic: Religion, Power and Prospects for Reconciliation’, Africa Meeting Summary, Available at: <https://www.chathamhouse.org/sites/files/chathamhouse/home/chatham/public_html/sites/default/files/270114CAR.pdf> [Accessed 24 February 2014]; International Crisis Group (2013) op. cit. Waugh, Louisa (2014) Now the President’s Gone, Will the Killing Stop? New Statesman, 17–23 January, pp. 13–14. Adrien-Rongier, Marie-France (1981) Les Kudro de Bangui: Un Espace Urbain oublie. Cahiers d’etudes Africaines, 21, pp. 93–110.